Brasil, Brazil, Brazilian, Palmas, Tocantins. Xzavier Broughton and Sky Delawere. 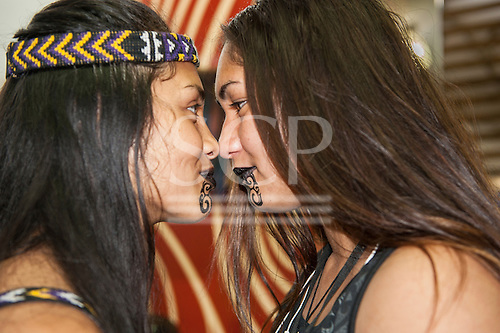 New Zealand greeting touching noses.